This product is instock, please contact us to get a price! (The price is include a vinyl turntable + tone arm + MM Phono + MM cartridge.) There are two colors of turntable for choose, white or black. 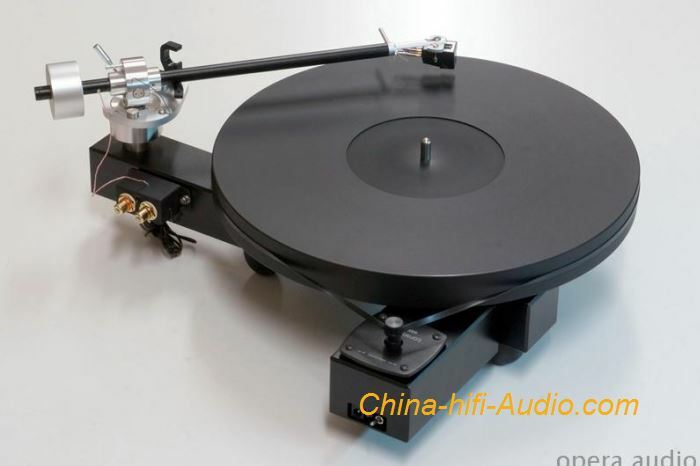 The WAX Engine is an advanced analog playback system introduced at the entry-level price under the design of the best-quality LP turntable, and the adjustment of the whole machine is very simple. Whether it is a heavy or light turntable, the support of the bearing system is essential if it is to rotate smoothly. The Wax Engine is equipped with a stepped stainless steel shaft and a ceramic bead pressed into the bottom. The entire bearing is placed on top of a Teflon gasket. The addition of a few drops of lubricant results in a very low friction of the entire contact surface. The rotating shaft is mounted in a brass bushing with a relatively short length so that the turntable can obtain a relatively low center of gravity, which is beneficial to ensure the stability of the rotation during operation. DC motors use high-quality, low-noise, long-life DC motors and a proprietary DC-powered servo system with patented technology. The horizontal and vertical modes of the bearing section are combined with brass and stainless steel, making the friction very small and very flexible. The arm tube is made of aluminum alloy and cotton, and is equipped with a light-weight cartridge holder. The balance of the direction-financing force can be adjusted by the three scale levers and the counterweight behind the pivot point of the arm. The base is constructed of a "T" aluminum material with independent shock-absorbing feet for height adjustment.